A HSA gives working individuals a tax-sheltered way to save for medical expenses. 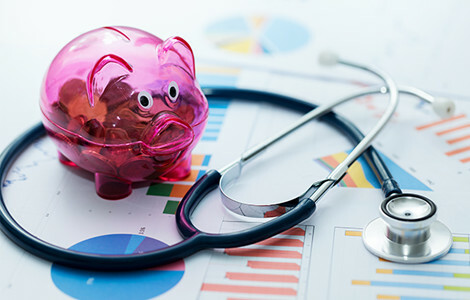 Any individual that is covered under a High Deductible Health Plan (Minimum Annual Deductible of at least $1,350 and a $6,750 cap on out of pocket expenses – single coverage; Minimum Annual Deductible of at least $2,700 and a $13,500 cap on out of pocket expenses – family coverage). Not be covered under any other health plan that is not part of the High Deductible Health Plan. You may be able to claim a tax deduction for contributions you, or someone other than your employer, make to your HSA even if you do not itemize your deductions on Form 1040. The contributions remain in your account from year to year until you use them. The interest or other earnings on the assets in the account are generally tax free. An HSA is “portable” so it stays with you if you change employers or leave the work force. – $3,500 annually for self coverage (under age 55); $7,000 annually for family coverage (under age 55). – No limit on amounts transferred or rolled-over from existing HSA. – Plus (+) Additional “Catch-Up” contributions are available to individuals 55 years or older. All funds are insured up to $250,000 by the FDIC.